Today in Masonic History Robert Houstoun Anderson in 1888. Robert Houstoun Anderson was an American Soldier. Anderson was born October 1st, 1835 in Savannah, Georgia. After attending local schools in Savannah, Anderson received an appointment to the United States Military Academy at West Point. He would graduate in 1857. After graduating from West Point and prior to the start of the Civil War, Anderson was posted to duty in upstate New York. He would later serve in the Washington Territory at Fort Walla Walla. 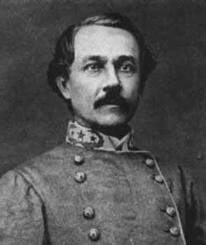 In 1861, just before the official secession of his home state of Georgia, Anderson received a commission in the Army of the Confederate States of America (ACSA) as a lieutenant. He would be appointed to be assistant adjutant general to the head of the Georgia Militia. Anderson would see battle throughout the Civil War as part of the Georgia Militia and as part of the Tennessee Army. He would be promoted to Brigadier General in 1864 and would lead his brigade against Union Forces during Sherman's March to the Sea. He would also participate in the Carolina Campaign prior to the collapse of the Confederacy in 1865. After the war Anderson would become the police chief of Savannah. He is still honored by the police of Savannah to this day. Anderson passed away on February 8th, 1888. Anderson was the Eminent Commander of Palestine Commandery, Knights Templar No. 7 in Savannah, Georgia.